Just as I was packing for my Portland book event, I got the call that a friend died. Jim was more than a friend. To my little girls, he was a hero that defended their right to safety when they were in Greece, a rare rescuer who tried to stay in regular touch with them as they grew to be women. A great lawyer. An even better uncle. We will miss him, and will always be grateful for his love and support. Portland was a comfort. From my hostel owners to the bookstore owner (thank you, Elisa at Another Read Through!) to the community at large and the other authors from She Writes Press, I couldn’t have had a more restful/low stress venue. 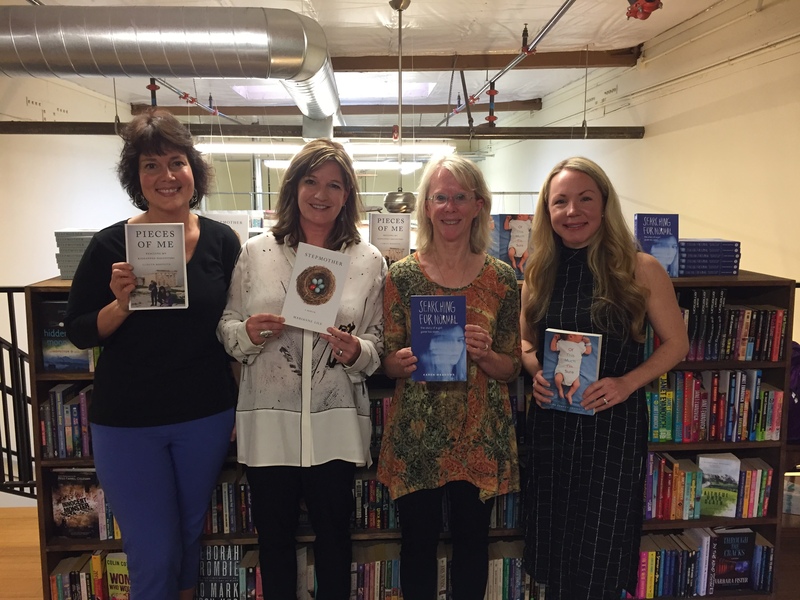 Me with memoirists Marianne Lile, Karen Meadows, and Nadine Kenney Johnstone. This May I joined Zonta International, and am excited at the many people and possibilities that membership will provide to work empowering women and children around the globe. Since Zonta has chapters virtually everywhere, the opportunities will follow me into retirement, wherever I am. Just when I was sure books sales would climb with time, Amazon has found a way to sell books without compensating authors and publishers. If you Google it, you’ll read about the crushing news this is to the publishing world. Deep sigh. 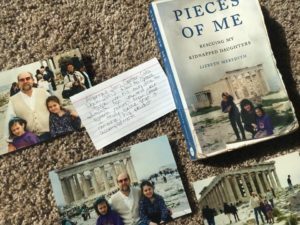 Pieces of Me: Rescuing My Kidnapped Daughters is a finalist for the International Book Awards! That, and a finalist for the USA Best Book Awards and a silver medalist for the IPPY’s in memoir/personal struggles. If I had endless personal leave and cash, I’d be flying to New York right now for the fancy IPPY ceremonies. Instead I’m plugging away at work and other writing projects, excited about next week’s event in Louisville Kentucky, the city of my birth. I’ve not ever had two sides of my family under one roof. I’m sure I’ll be a nervous wreck in the moment, but for now, it’s exciting to think about. And that’s life in a nutshell. 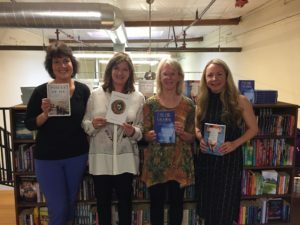 Still loving book groups and other events, but finding time for rest. Eight months after publication, I’m able to finally take a deep breath and look at both my book life and my regular life with calm energy. I stayed in my PJ’s last Saturday until 3PM and made myself an amazing smoothie, and was mindful to appreciate each ingredient-the spinach, the avocado, the raspberries, and the chia seeds. I let myself listen to my cats purr and didn’t worry about the messy house. If you have friends or family in Louisville, Kentucky, please tell them I’ll be at Barnes and Noble-Hurstbourne soon! And I’ll speak with Rachel Platt at Great Day Live! even sooner. Life zips by quickly. It will forever be a mixed bag. It is so important to make a point of smiling before it’s over.